Nice to meet you! I was born at 1988. Now 27 years old. My name is Izawa Umi. Usually people call me Umi. For people from abroad the pronunciation of “Umi” may be a little difficult, so it is okay to call me “Kai”. 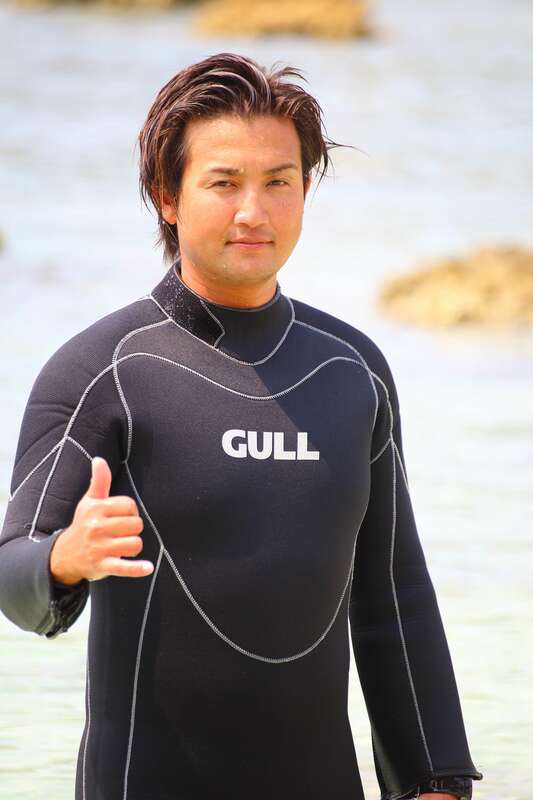 My favorite diving spot is Itinose Hole, and my favorite creature are fugu fish, sea slugs, and whale sharks. 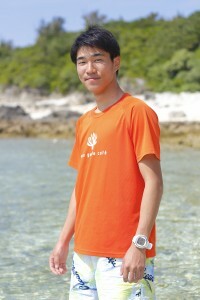 I was born at Miykojima, so if you are curious about Miyakojima, any question is welcome. Have a nice day! People often ask me if I am half-blooded, but I am normal Japanese. My nick name is Uo-Ri-. I am good at free diving. Sea turtles are my favorite animal!